Great location for shopping in Karolbagh Market and on 5 min walk from Karol Bagh metro station. If cleanliness and service improved, this hotel can be a good option for budget business and family travellers. I think this hotel is quite good. Hotel employees are friendly, but the room is dirty, Toilets were not clean, and the second day, my room was not cleaned by hotel staff. Breakfast was not appealing, dirty dishes, dirty glasses. WiFi network in the lobby is not too disappointing though WiFi network can not reached to our room. I would not recommend this hotel. we signed up on agoda for 4 nights, checked into the hotel, and went to our room. after looking around we decided to ask for another room. they moved us to the one next door which was better. however, there was no hot water, the faucets leaked, and we were across from the elevator (in both rooms) on the first floor with people talking and moving furniture all night. we asked to be moved the next day, which they did when we returned from sightseeing. at 11pm i moved a pillow on the bed and found that the entire bed was full of bedbugs. they wanted to just change the sheets, then give us a new mattress. we wanted a new room. they finally said okay - at midnight - so we packed up and WALKED 4 blocks to their other hotel. when we went into the bathroom, the toilet seat was covered in urine. we complained and a man with a dirty rag came up and wiped off the seat, then left. i had hand sanitizer with me, so i wiped the toilet so we could use it. if is wasn't for the help of agoda in getting our money returned for the next 2 nights we would have lost it. 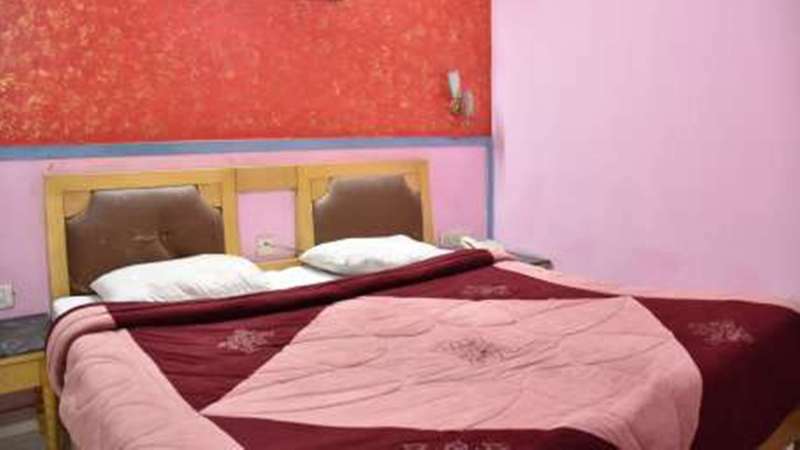 there are a lot of hotels in the karol bagh area, but beware of most of them. we've traveled in many countries around the world and have been lucky to never have had this experience before. i stayed in this hotel with a friend while we were in new delhi, and the hotel itself was nice for the price. internet access right downstairs was convenient, and for onlya small price. also, the manager is extremely helpful and friendly. A hotel is located in busy area and close to shopping. Staff is friendly and co operative. Service is good. Internet service is free and fast. Hotel is excellent on price you pay.The rooms were very small and unbelievably dirty.only two walking minutes to Ajmal Khan Road was very positive. The food was simple but good. Dirty, room too small, wireless doesn't work well. We hade booked a super deluxe room, thinking it would be a quite big room - but it wasn't. Small animals (not to be mentioned by name) on the room did not make us feel any better. However, only two walking minutes to Ajmal Khan Road was very positive. The food was simple but good, prices to high. They are able to book sightseeing tours at a good price but you must bargain. The hotel satff is very friendly and always willing to help. Everyone speaks English. The hotel was clean but we did see a coachroach in the bathroom. It was a little too pricy for the condition of the hotel and the area where it was located. I would probably stay at this hotel again beacuse of the staff and to book a sightseeing tour. I think if I shop around, I would find a better deal for the money. bon sejour,bonne chambre,service correct,petit dejeuné pas au point ni au top,pour l'eau chaud aussi,par contre il y a que 2 personne qui sont a l'acceuil et qui sont tres gentil et souriant sinon les autres ces plus dures. Hotel à éviter. Nous n'avions pas de recul sur le pays car celui ci était le 1er de notre voyage. Nous avons trouvé heureusement nettement mieux et pour beaucoup moins cher par la suite! Et pourtant nous ne sommes pas très exigents ! 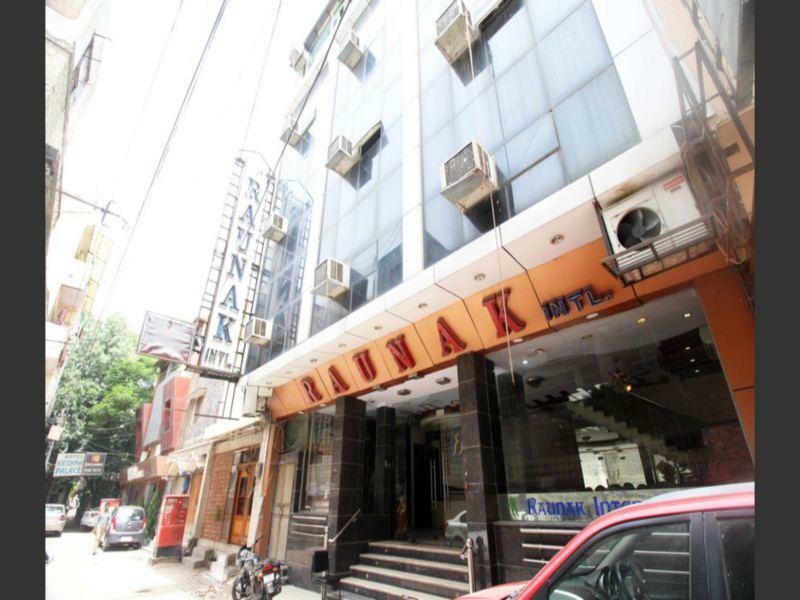 Das positivste am Hotel Raunak International ist die relativ zentrale Lage in Delhi im Stadtteil Karol Bagh. Man erreicht in wenigen Minuten das Zentrum. Das Zimmer war auch beheizt, was im Januar in Delhi schon wichtig ist. Leider ist festzuhalten, dass der Internetauftritt des Hotels Raunak International mit den entsprechenden Fotos auf den Seiten von Agoda kaum den tatsächlichen Zustand des Hotels wiedergibt und das Hotel in keiner Weise auch nur unteren internationalen Standard präsentiert. Der grosszügige Eindruck, den die Zimmer auf den Fotos machen, täuscht. Die Zimmer sind in der Regel wesentlich kleiner und das Mobiliar ist eher primitiv. Unschön ist auch, dass man, kaum dass man am Abend eingetroffen ist, noch zum Verkaufsgespräch genötigt wird. Ein Herr, der sich erst als Vertreter der staatlichen Tourismusbehörde ausgab, wollte am Ende nichts anderes, als uns gleich ein paar touristische Tagestouren zu verkaufen. Anderen Gästen erging es ähnlich. Lyhört i rummen, varmvatten bara mellan 10-17, personalen lovade saker de inte höll, miljön runt omkring var inte så trevlig, mörk liten gata och byggarbetsplats runt omkring. Hotellet var rent och fint. Det låg tyvärr lite trist. Längst in på en liten gata och det var bara byggarbetsplats runt omkring. Det var mycket lyhört på hotellet. Personalen var trevliga och hjälpsamma, men det man bokade och bestämde bokades inte. Vi bokade till exempel hotellets bil till kl 02:00 för att åka till flygplatsen. När vi ringdener till receptionen och skulle kolla om bilen var där så visste dem inte vilken bokning vi pratade om. Vi hade pratat tre gånger med deras general manager, men ingen bokning hade gått. Vi fick skälla lite och då fixade dem fram en bil. Vi hann som tur var med flyget. Själva hotellet var det inget fel på. Det var rent och fräscht.